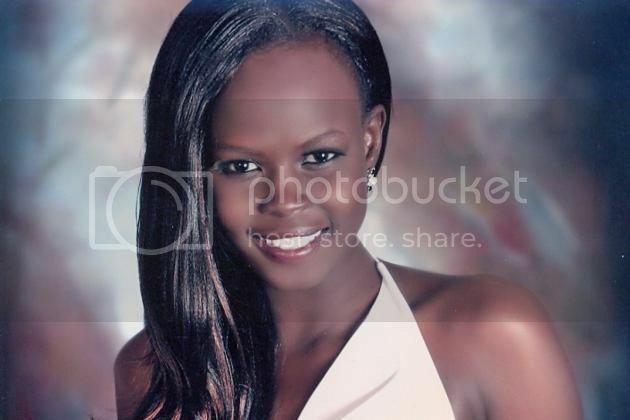 Previously competed in the Miss Earth 2010 pageant, 23 year old Atong from Juba stands 5'11" tall. She speaks Dinka, Nuer, Shilluk, Arabic and English and presently studying in her final year taking up translation. Her advocacy to help children to have a better future through improving their education and environment. de Mach enjoys singing, playing basketball and writing. She is a simple, loving and caring young woman and believes in the saying "Never give up on your dreams in anything you do." Atong representing South Sudan will compete against other 119 hopfuls vying the crown of Miss World 2012 which celebrates the grand finale on August 18 in Ordos, Inner Mongolia at the People's Republic of China. It is one of the most celebrated and the oldest surviving beauty contests in the world since 1951. If ever she wins the crown, she will stay in London entire her reign and will travel to represent the Miss World Organization and its various causes. Will the talent, exotic beauty and intelligence of Miss South Sudan will stand out and take home the coveted crown?